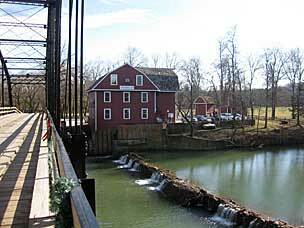 The War Eagle Mill is located a few miles east of Rogers, Arkansas on War Eagle Creek. 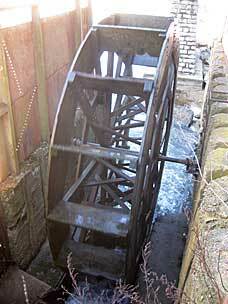 The first gristmill was built by Sylvanus and Cathryn Blackburn in 1832, then was destroyed in an 1848 flood. 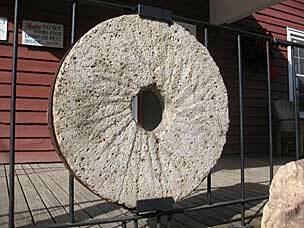 They rebuilt and expanded the mill, but during the Civil War it was burned down prior to the Battle of Pea Ridge. 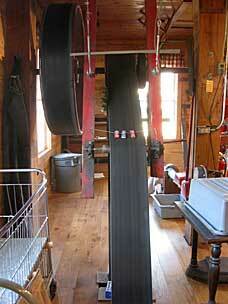 A third mill was constructed in 1873, this time milling lumber. That mill burned in 1924. 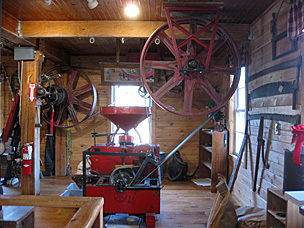 The current mill building is a reconstruction begun in the 1970’s, mostly replicating the third mill but returning to milling grain instead of lumber, and using an undershot wheel rather than a turbine. 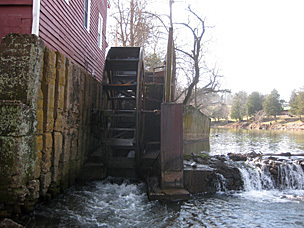 A flood in 2015 destroyed almost everything on the first floor, but the mill carries on as the only working watermill in Arkansas.